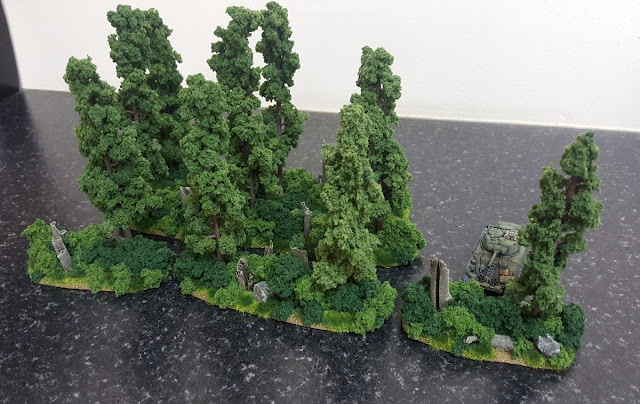 Some objectives I've made for Battlegroup, which will also work as Jump-off-points for Chain of Command in 15mm. Since I had the German stowage bits out, these were all quite German-themed: I've made five for NW Europe and five for the desert, though I still have to paint the NW European ones. 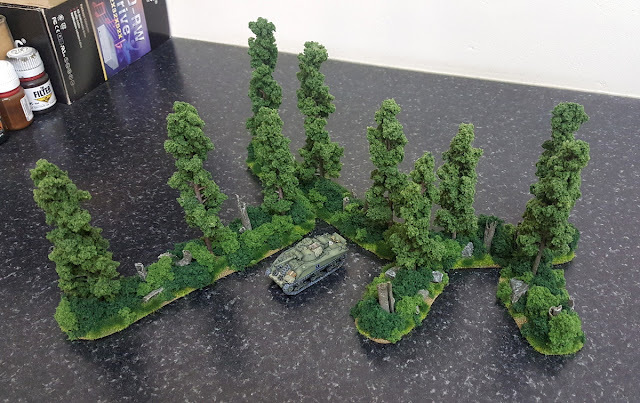 In time, I'll also do others themed as British, US or Soviets objectives/JoPs. 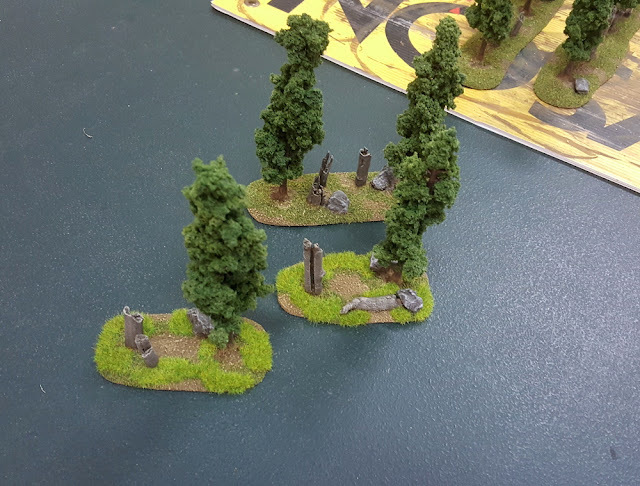 BG does not need scenic objectives as the objective is really just a point on the table, or more often a piece of terrain. "Take the bridge" is quite obvious, but sometimes you need a marker in an open field and these suit the purpose. This is especially true in the desert. 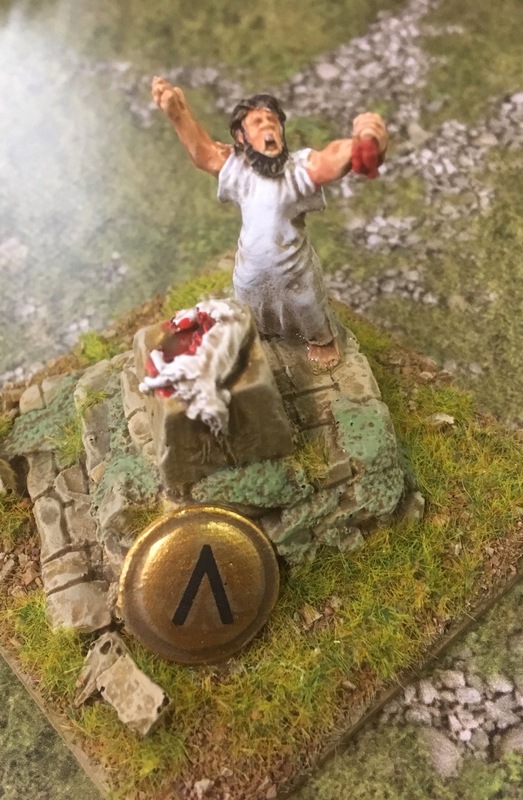 My objective are on 25mm washers (i.e. 1 inch): the idea was to build up a core with filler pieces (boxes and crates, a tarp over filler, etc.) 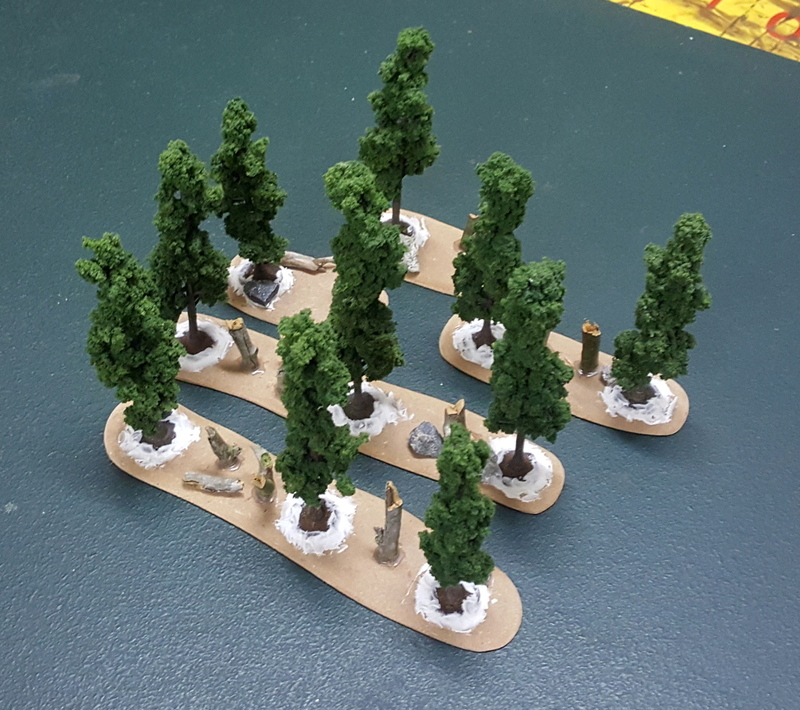 and then add details for interest. They became "themed" as one became a repair point, another gained several hand-held AT weapons, etc. The simple tarps are just tissue paper soaked in watered-down PVA glue (as you'd use for applying static grass or flock), placed over filler, which is just several bit of scrap plastic sprue cut to size and glued to the washer. 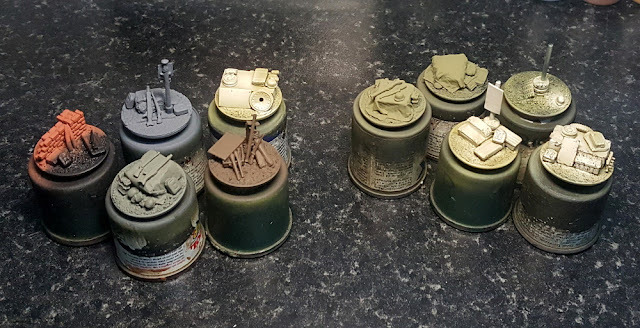 I base coated the predominant colour on each pieces by airbrush (because I had it out so why not? 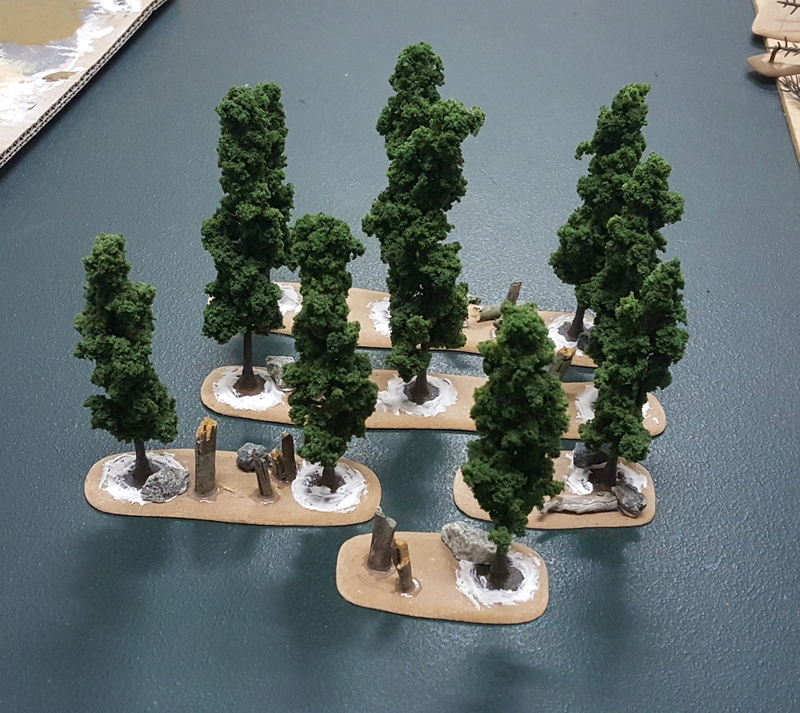 ), then did the rest of the painting and details by brush. Some smaller bits of scrub were added for interest and colour (Woodland Scenics Olive Green Bushes). Since I model my DAK forces on 15. Panzer Division, I've themed a couple with 15. 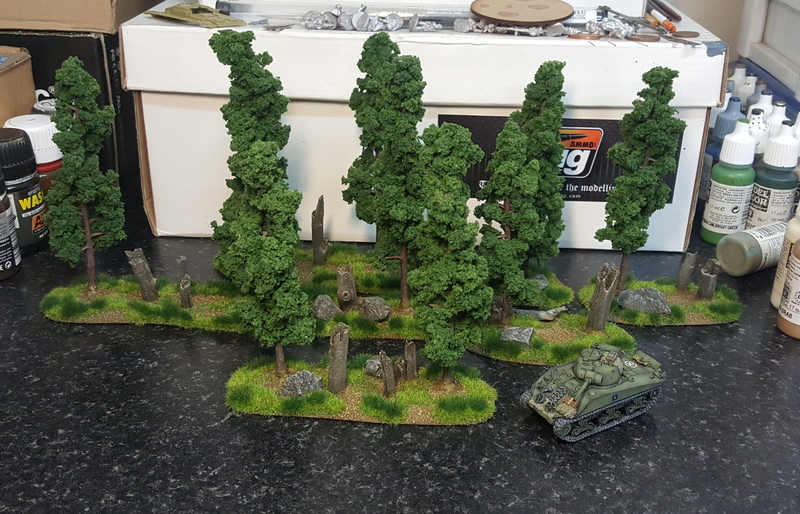 Pz divisional signs, one ostensibly being a vehicle repair point, the other with a sign perhaps pointing to a staging area? It adds some interest and colour. 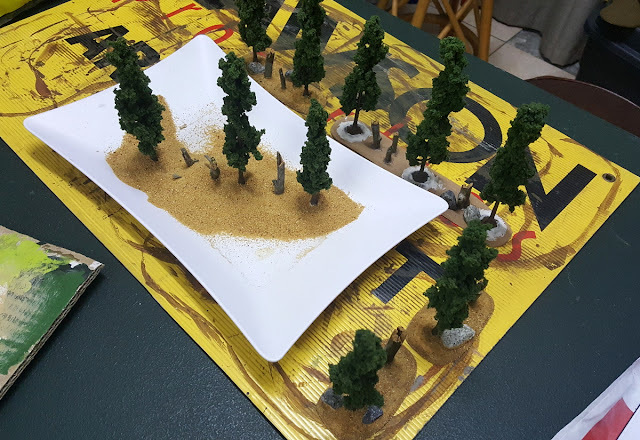 The bare pole is waiting some desert signs, but apart from that the desert objectives are done. 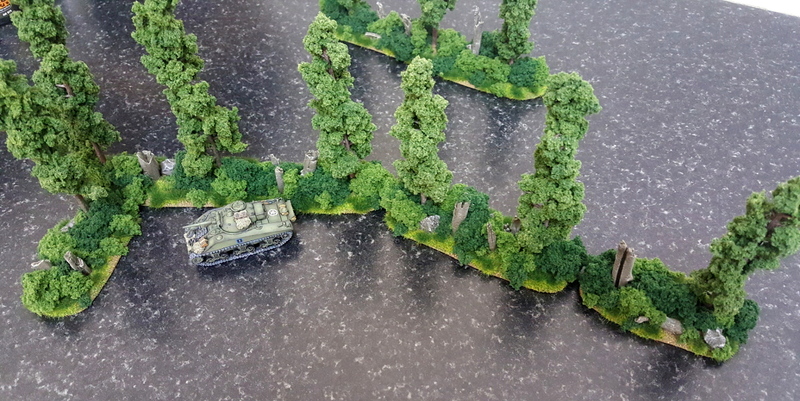 The new-ish BF mid-war Tigers: a very nice kit, here done as a fairly simple out-of-the-box build. Terrain Hacks - Extreme Makeover: Treeline Edition! Improvement...and transformation to something better. Really this is about taking an old piece of terrain and giving it a make-over. The tree-line: the old classic few-trees-on-a-base-that-magically-blocks-line-of-sight terrain piece, so beloved of FOW gamers and Stormtrooper-abusers everywhere. I hated them; they made little logical sense though they were useful as LOS blocks. 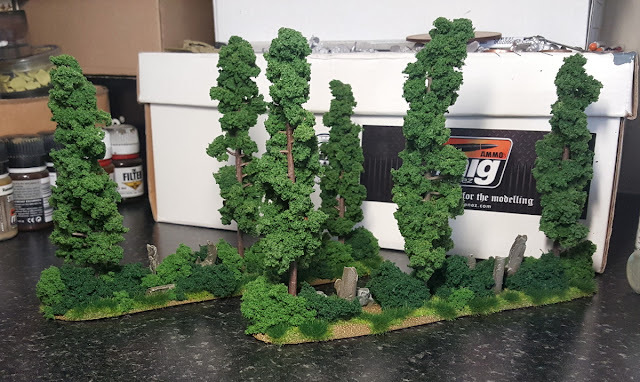 Nonetheless, I've wanted to re-do mine for ages, so the old ones were set for a makeover. Pretty bland, if functional. 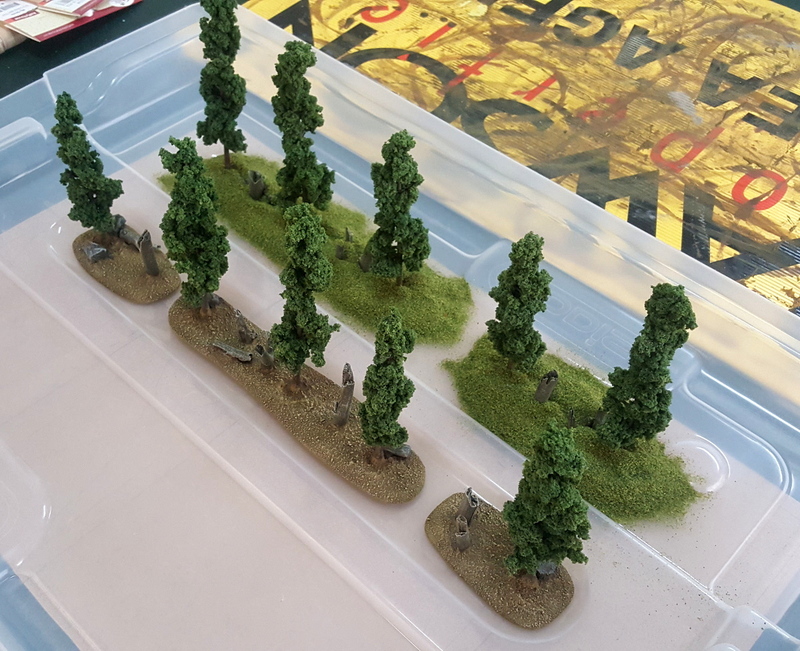 I had not used them in ages since in Battlegroup or Chain of Command they don't really work as much more than decoration, in which case singly-based trees would be preferred. 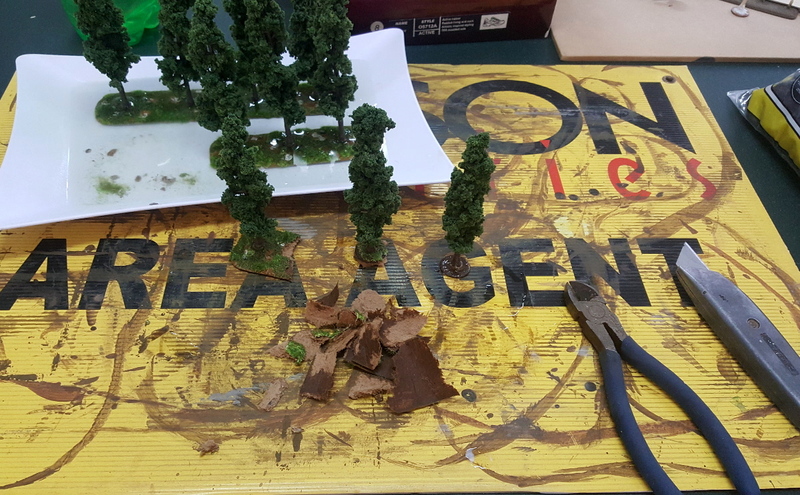 Time to re-base: mine are Woodland Scenics Pine tree armatures with clump-foliage attached. 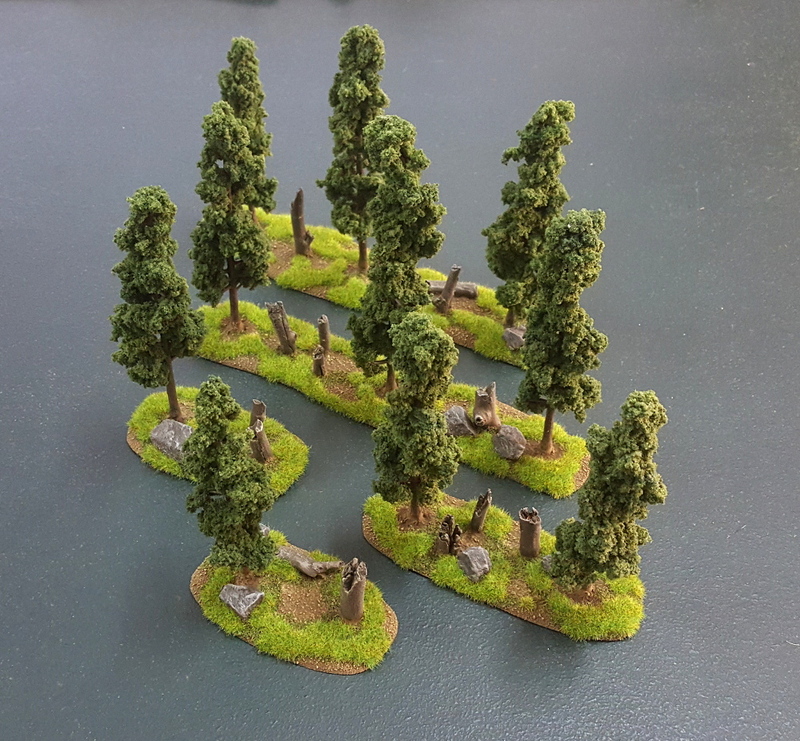 Not the best, about eight years old and used in many games, but I thought they could be re-used for something functional. On 3mm MDF bases originally, I soaked them in water to soften the sand & PVA basing. using a pair of side-cutters to help "tear" at the MDF. 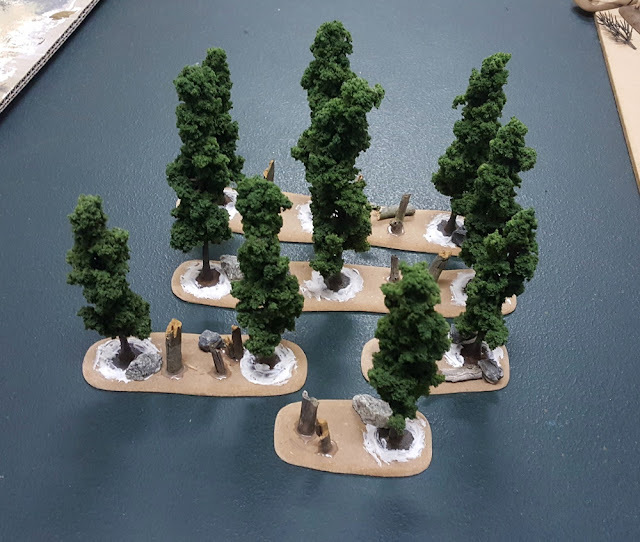 I broke away the MDF until close to the tree base, then cut the rest away with a craft knife. Please try not to cut an artery if doing this or you might bleed out and die. Apparently. 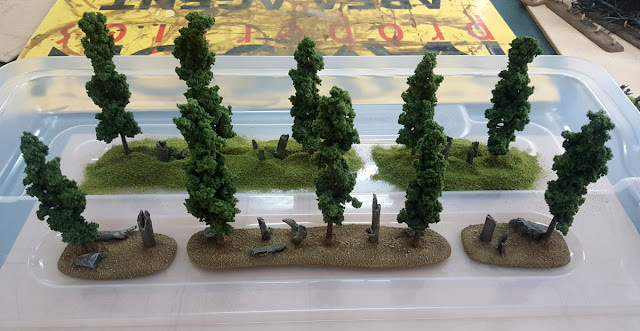 With a bit of work the trees were freed and ready for re-basing. 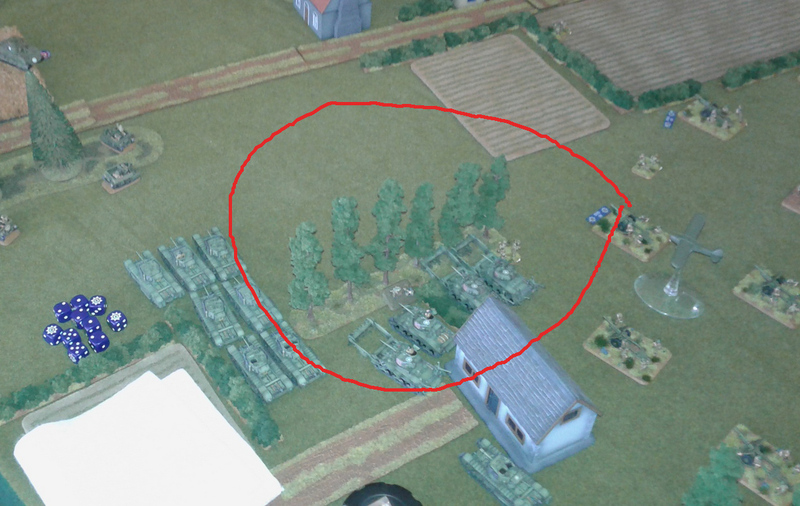 Rather than basing singly I now formed a new plan after looking at some pictures of Normandy hedges. 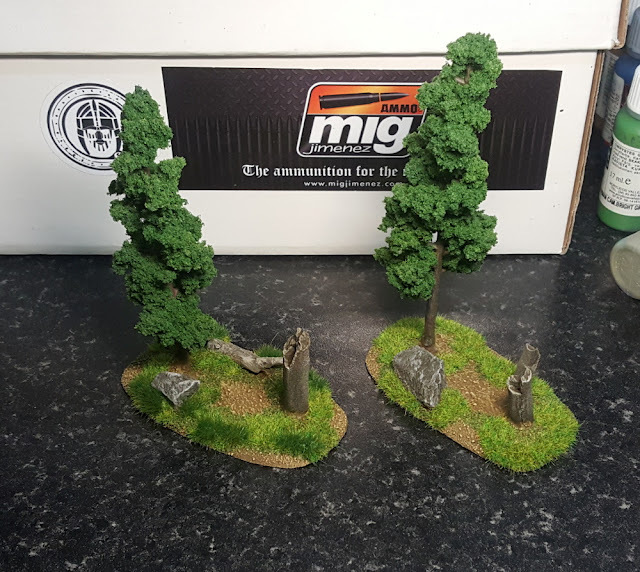 New bases, a few rocks and stumps were added for interest. 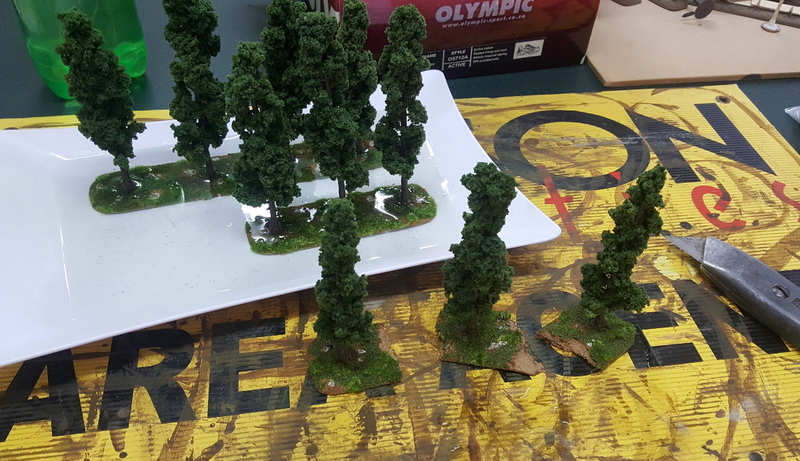 The trees are "glued" with caulk (acrylic silicon). 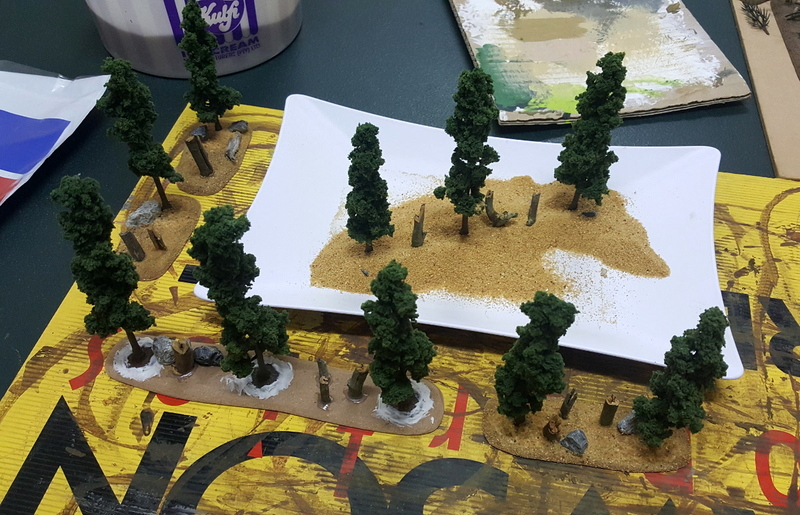 then dry-brushed a lighter colour and a very light dry-brush with a sand colour. 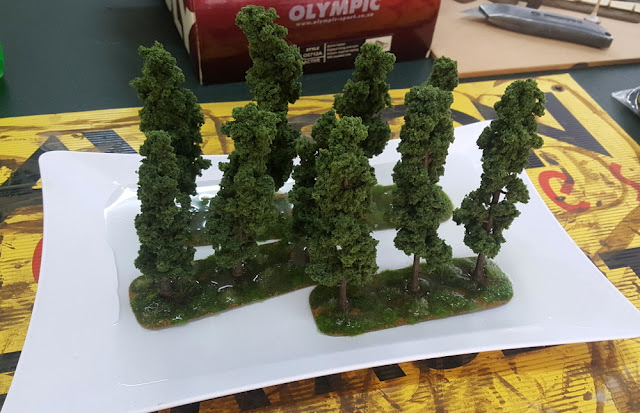 Next I glued on flock: Woodland Scenics, a 3:1 blend of Green and Earth blend. 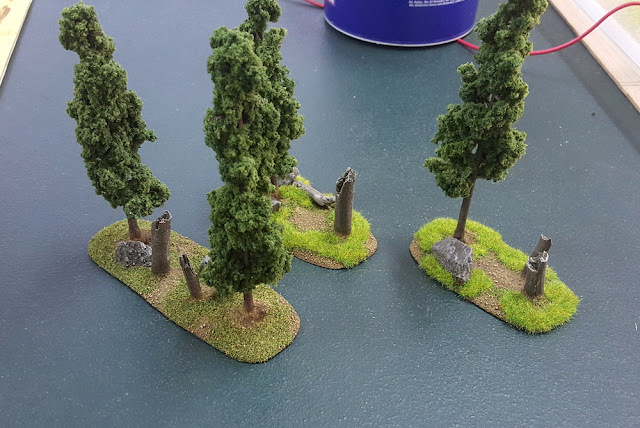 The flock was really just to provide a base for the static grass. I also painted the rocks and the tree stumps at some point. 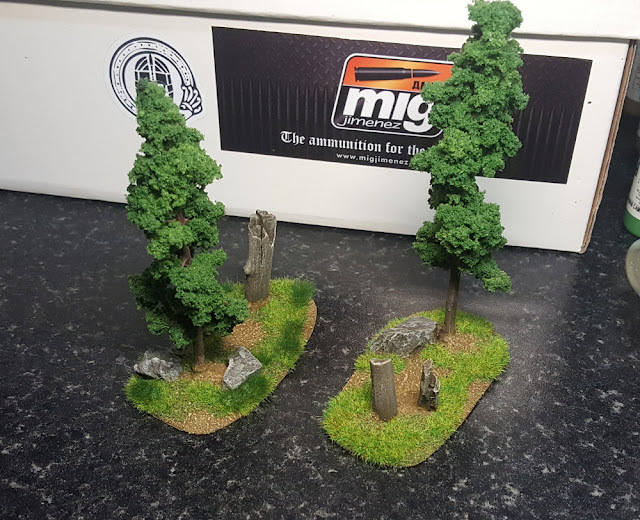 some 2mm static grass using the WWS Pro Grass Micro applicator. 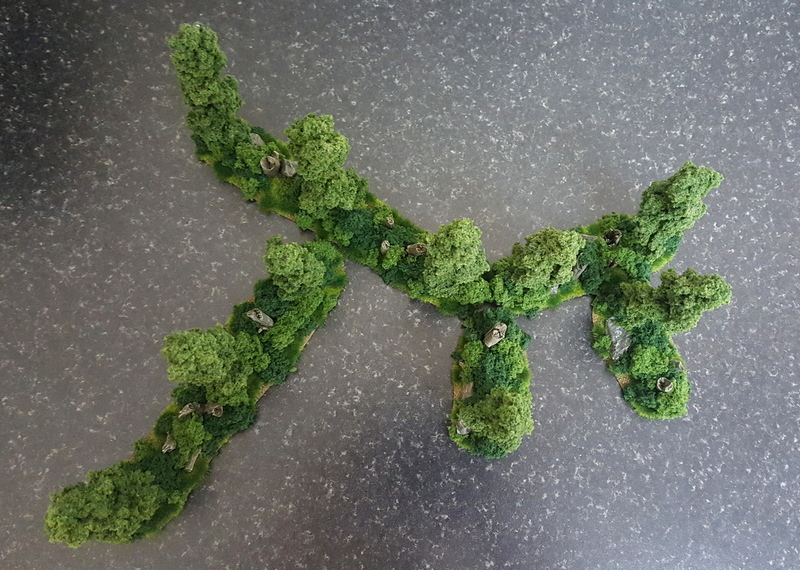 The grass looks very green in the pictures but is much better in real life. 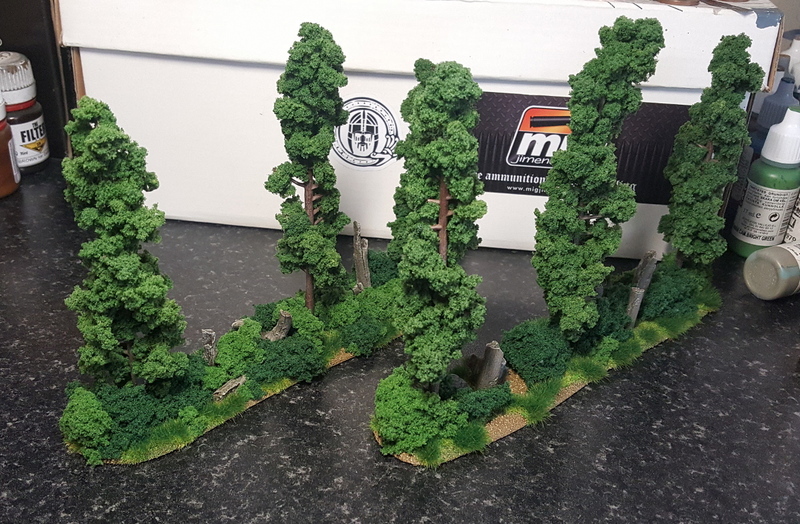 With some decent grass added, I was ready to move on to the next part. 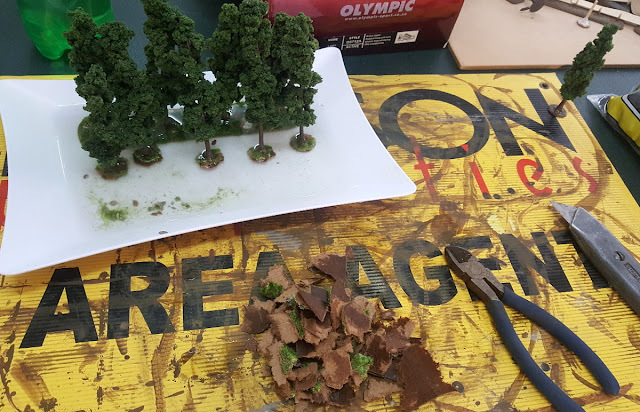 Woodland Scenics foliage clusters, Medium and Dark green, were glued onto the bases to start the hedges. I then added more clump foliage to thicken the hedges, and glued a few smaller pieces to make the growth seem "rougher" and less pristine. 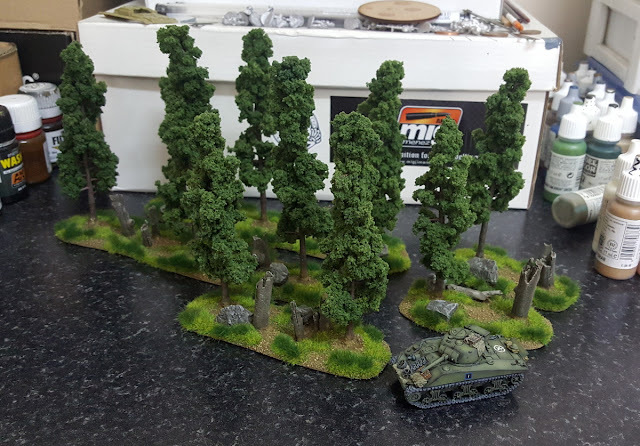 A 15mm Sherman gives some idea of the height, i.e. 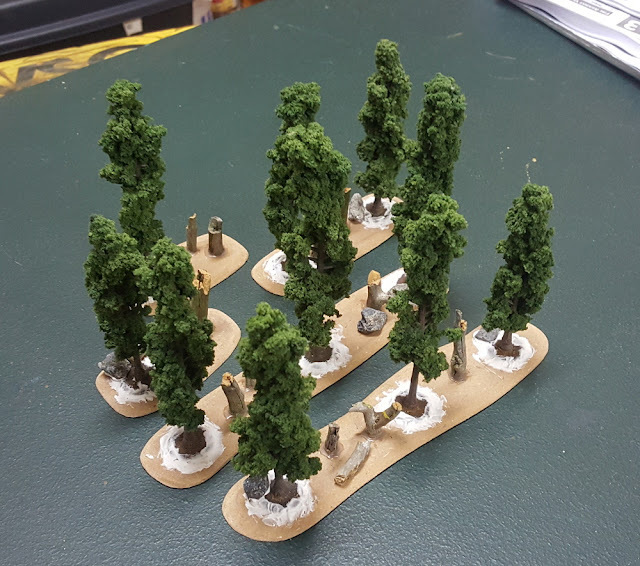 fairly tall, certainly above man-height for 15mm. to help protect it and because I can't be bothered to do the whole "spray with diluted PVA" thing. ...or to build in different ways without the need for corners, T-pieces, etc. looks considerably more attractive than anything I had before. 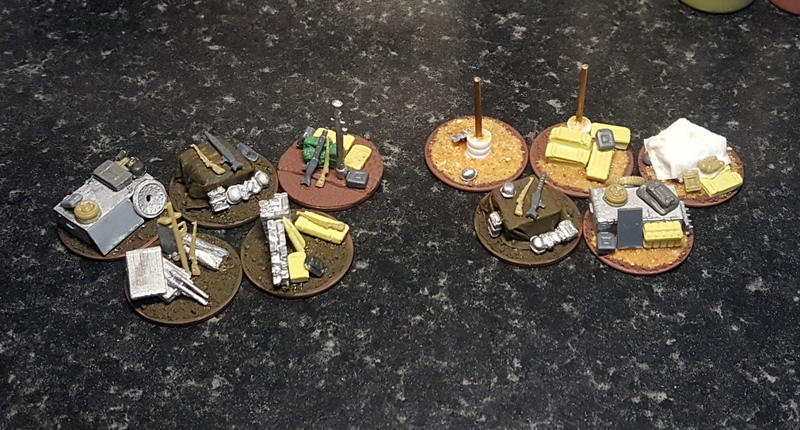 I had the relevant bits printed today, separate laminated campaign map in A2 and some cheap counters for campaign use. 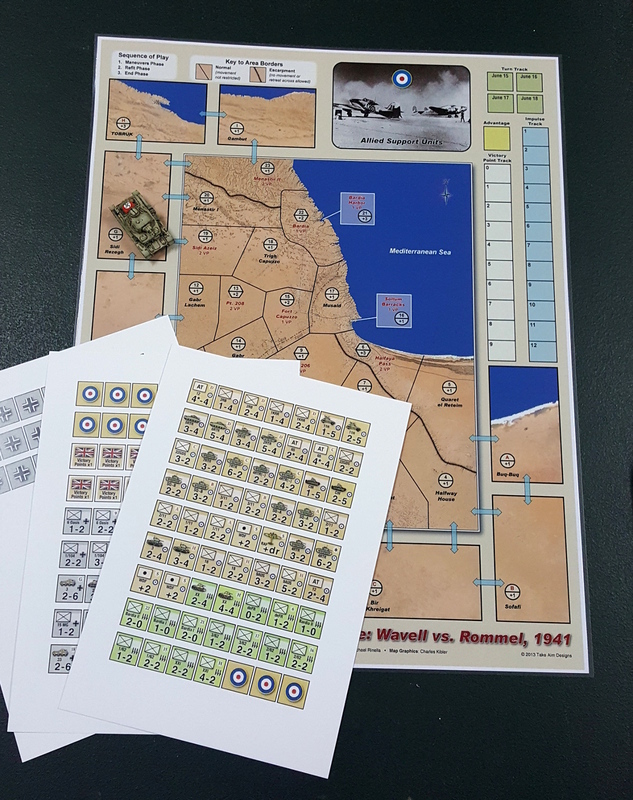 Now just to work out some of the rules and effects and we'll be good to go.